I recently upgraded my only copy of Preliminary Hearing on cassette to vinyl. It's a good thing too because I was finally able to get some decent scans. A new compilation released in 1989 has been discovered. 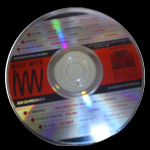 "Wonder of Birds" appears on Music Week's Promo #4 CD release. Unfortunately, I've not found a cover photo as of yet. I found this video on YouTube.com. 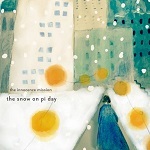 The Innocence Mission track, "Snow" comes from the Birds Of My Neighborhood album. Here are 3 more photos from Don's recent performance at Jammin' Java in Vienna, VA. Don performed with Denison Witmer, Hunter Johnson and fellow Innocence Mission band member, Mike Bitts. Here's a photo submitted by Chad Henson. Have an Innocence Mission related photo you'd like to contribute? Feel free to share. Ebay has turned up another video compilation containing the "I Remember Me" video. 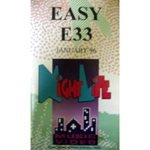 This time the source is National Video Subscription which released a compilation in 1990 containing the video. I found this video on YouTube.com today. 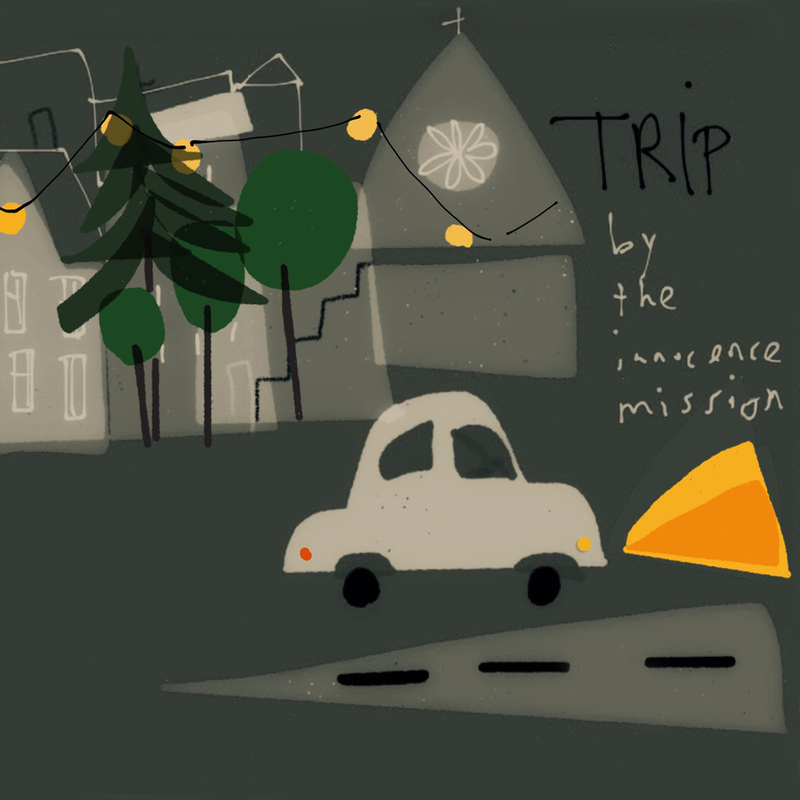 The Innocence Mission track, "Song About Traveling" comes from the Small Planes album. Here are 3 more photos from Don's recent performance at Jammin' Java in Vienna, VA. Don performed with Denison Witmer and fellow Innocence Mission band member, Mike Bitts. Turns out "Bright As Yellow" was released promotionally in Australia. For further details, click the image below. Beginning today, anyone can anonymously leave comments on any news item on the news page. However, all comments are moderated and will only be added once approved. Also, a link to this site's newsfeed has been added to the right side navigation of the news page. Should you wish to add Imdiscog.com to your MyYahoo page, or the like, you may now do that. Over the next few weeks I'll be posting photos from Don's recent performance at Jammin' Java in Vienna, VA. Don performed with Denison Witmer and fellow Innocence Mission band member, Mike Bitts. Last evening, Don performed a reworked version of the untitled instrumental from the unreleased Glow demos. 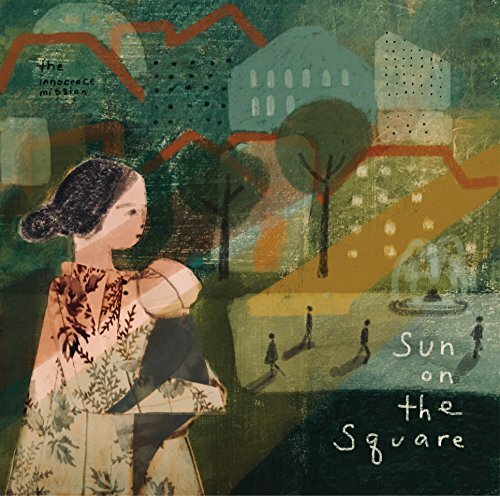 The song, now titled "Recital", appears on Don's new album, Go When The Morning Shineth. Also, they ended the show with "Birds" by Neil Young. Some of you may remember, Karen singing this in 1991. Don also mentioned the new Innocence Mission album could possibly be out in February and the unreleased Glow demos may see the light of day...one day, but definitely not before the new CD is released. Extra thanks go to Jeff Teez for these very rare live debut album photos. All of these photos and more are available for download by visiting the Photos page. The Photo gallery requires an additional moderated registration in order to download. Do you have any rare photos you'd like to contribute? Or perhaps you have something interesting you'd like to share? Feel free to drop me an email. Feedback request: Web site additions? 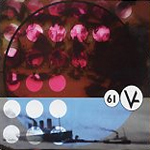 If there's something additional that you'd like to see here on IMDISCOG.COM, I'd like to have your feedback. Please use the contact button and share your thoughts. I'm open to suggestions. Steve Brown has recently become the owner of Lily's on Main, a restaurant in Ephrata, PA. He has been the head chef since 1998. "The collection of top-rated restaurants owned by The Keares Restaurant Group just got a bit smaller. Longtime Lily's on Main chef Stephen D. Brown this month signed a purchase agreement with the Keares family, adding owner to his manager title. Lily's is located in the Brossman Business Complex, 124 E. Main St., Ephrata. Details of the deal were not disclosed. "It's been my dream to own a restaurant since I was a kid," said Brown, a 1982 graduate of Lancaster Catholic High School. While it may have been a dream of Brown's, business ownership didn't dominate his life immediately after high school. Brown is a highly skilled chef but has no formal training. He spent many years recording, touring and playing drums in the Lancaster-based band Innocence Mission. "I learned the business in the school of hard knocks," Brown said. After beginning his culinary career as a 17-year-old assistant manager at the former Gino's restaurant on Lititz Pike, Brown honed his skills at Miller's Smorgasbord, J-M Bistro and the Log Cabin Inn Restaurant. While working at the former J-M Bistro on James Street, Brown had an arrangement with bistro owner Jean-Maurice Juge who allowed him to tour, record and cook. But Brown left the band and devoted his time exclusively to running the business when Lily's was established, Brown said. Lily's originally opened in 1994 as Checkers but changed the name to Lily's in 1998 when Brown arrived. "Lily is actually the name of my 9-year-old daughter," Brown said. During his time spent touring with Innocence Mission opening for high-profile acts such as Don Henley, and Natalie Merchant Brown got an education on the inventive food styles he incorporates at Lily's. "I've toured the country about 15 times with Innocence Mission," Brown said. "I went to restaurants everywhere I could, picking up recipe ideas in Seattle, New York, Los Angeles Boston and New Orleans." It was in New Orleans, where Innocence Mission stayed for three months in 1995, that Brown developed the idea for Lily's signature dish -- grilled meatloaf. The ground beef, pork, veal and mushroom dish is stacked high with two thick meatloaf slices served with garlic mashed potatoes and roasted onion-tomato gravy. "The dish is supposed to replicate the Brossman building, the tallest in Ephrata," Brown said. The 90-seat restaurant, including 10 seats at the full-service bar, has a sophistication to it that food critics say resembles upscale establishments in Philadelphia and New York. The building also houses the Ephrata Main movie theater, which the Denver and Ephrata Telephone Co. purchased and restored in 1990. D&E made the downtown building sparkle, even adding gold-plated elevators, and a waterfall behind the two-flight brass and glass stairway that leads to Lily's. "It's our mini-Trump Towers, Brown said. Brown is now the official owner of Lily's, but it's always been his show. Harry Keares gave him free reign, from the menu, presentation and even the art-deco decor (courtesy of Zap & Co. on North Queen Street in Lancaster). Still, Brown is quick to praise those who gave him opportunities in the local restaurant industry. "I owe so much to Harry (Keares) and Charles DiSantis, owner of The Log Cabin, and its executive manager Robert Fenninger. They taught me structure," Brown said. Describing Lily's cuisine, Brown's wife Karen coined the tagline "American fare with flair." The favorites on the menu include raspberry chicken with Brie and almonds, macaroni and cheese with lobster, and horseradish-crusted Atlantic salmon. You can also dine on lighter fare, such as a panini sandwich or Lily's special salad with fresh greens and vegetables. The Keares Group continues to operate three Doc Holiday's restaurants, Gibraltar, Lily's on James and Bubba & Louie's in Hanover." Yet another compilation, Virtually Alternative #61 from the Album Network, has been added to the 1990's page.